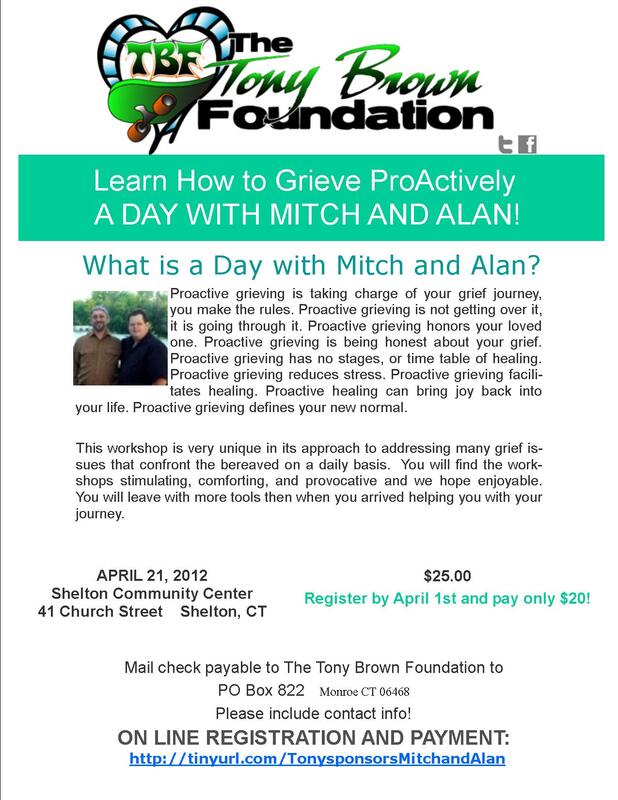 Proactively Grieving Helps Heart and Mind ! in Shelton, CT on April 21, 2012. 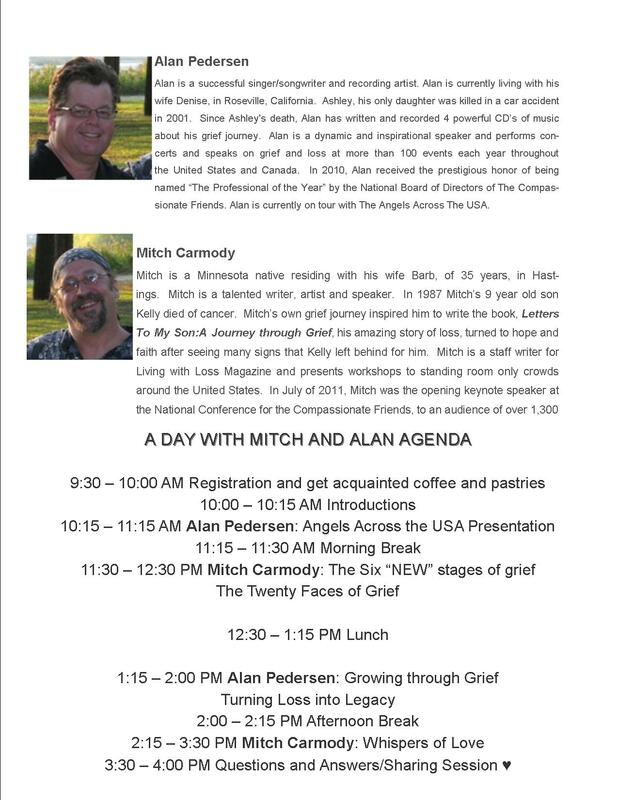 There is a cut off day of pre-registration by April 1 to receive a special fee of $20.00 per person.I KNOW Mitch and Alan. and Mitch is actually a member of our Advisory Board ~ the only non-Connecticut person that we invited to our Board. Each of these men are amazing in their separate workshops, but together, their energy is so strong, so powerful, so profoundly deep that you will be promised a day that will impact you in ways that you can not yet imagine. Their friendship forged through the loss of their children, Ashley and Kelly. Mitch is also a bereaved sibling, having experienced the death of his twin sister who left the plane in a horrific car accident. Mitch and Alan live what they bring to their guests in the gathering. You can trust these dads. AND they CAN HELP YOU. but for anyone dealing with grief and loss in life.